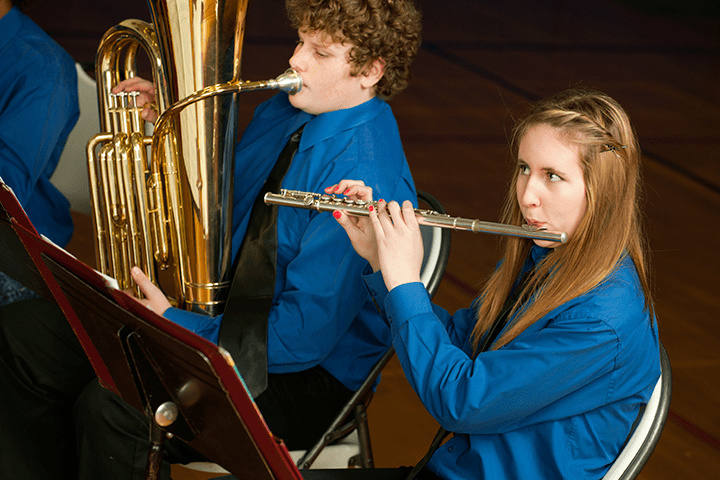 As the professional body for musicians and music educators and a subject association for music education, we campaign vigorously to protect the place of music in school accountability measures. But we are also looking at other ways in which we can support teachers – our members – in schools across the UK. Back in 2016 we launched a new scheme that would allow us to recognise the achievement of schools in England in music without creating a burdensome new system of assessment. This recognition for their work in an award form can help a music department as it talks to senior leadership about the value of their subject. It also offers a morale boost to struggling departments as they seek to expand or maintain their status within a school. We awarded certificates to schools where a high proportion of pupils took GCSE music and secured an A*-C grades. Schools where more than 20% of all Key Stage 4 pupils secured an A*-C in GCSE music will receive a gold certificate (15% silver and 10% bronze). When testing the scheme for the first time in England, certificates were awarded to a total of 649 schools, 87 gold, 146 silver and 416 bronze. In 2017 we to extend the programme across England, Northern Ireland and Wales and results showed that in England a total of 629 schools, (76 gold, 129 silver, 424 bronze) were awarded certificates. In Wales 50 schools in total were awarded certificates. Two schools were awarded gold certificates, 13 schools earned silver certificates with 35 schools awarded bronze certificates. In Northern Ireland 37 schools in total were awarded certificates. Two schools were awarded gold certificates, 6 schools were presented with silver certificates with 29 schools awarded bronze certificates. In England 58 schools received a gold certificate, 129 received a silver and 339 received a bronze certificate. 35% of the 526 schools that received a gold certificate were independent schools. Holy Trinity School in Kidderminster was the highest performing comprehensive state school. The best performing local authority by this ranking (with its very small number of pupils) was the City of London, closely followed by Southwark, York, Camden, Westminster and Barnet. Brighton and Hove is the next highest non-London area. In Wales 39 schools in total were awarded certificates. Two schools were awarded gold certificates, 5 schools earned silver certificates with 32 schools awarded bronze certificates. All the schools that were presented with either a gold or silver certificates in Northern Ireland were grammar schools.